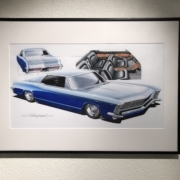 I’ve always had a thing for Steve Stanford … His drawings are so perfect and no one manages to grasp the “soul” of a car better than he does! 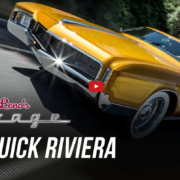 His grandiose art is to draw a car as if the car itself had been asked what it would look like! 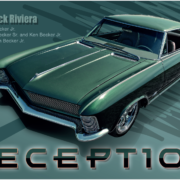 I am as you all know, a Buick Riviera fan. 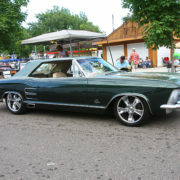 Or rather a Riviera 65 fan! 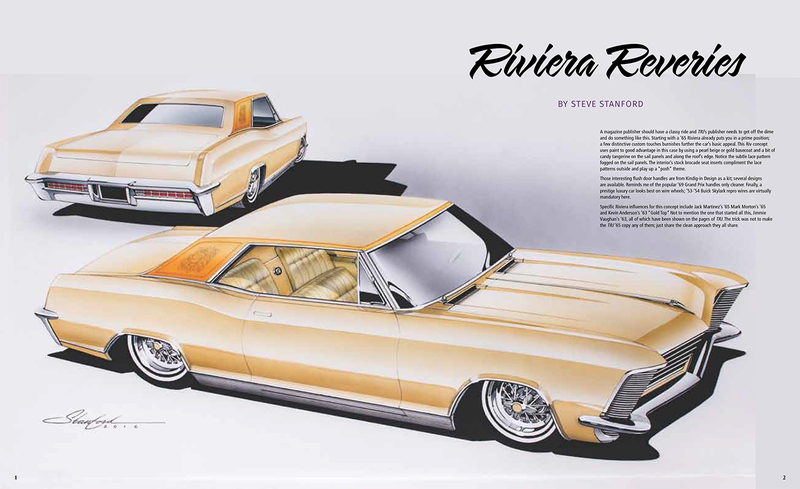 When I saw the drawing of a Rivieras 65 by Steve Stanford in Rodder’s #71, I knew I must have the original drawing. 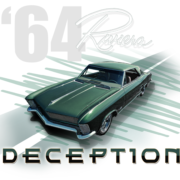 I got in touch with Rodder’s in good spirits and asked how I could come up with this drawing… I was almost laughed at and they told me that I had no chance to get this drawing because it was privately owned. This somehow made me sad… But anyway, I will not give up and find another way to get a drawing from Steve Stanford!